A New York Times investigation offered some unnerving news on Friday. 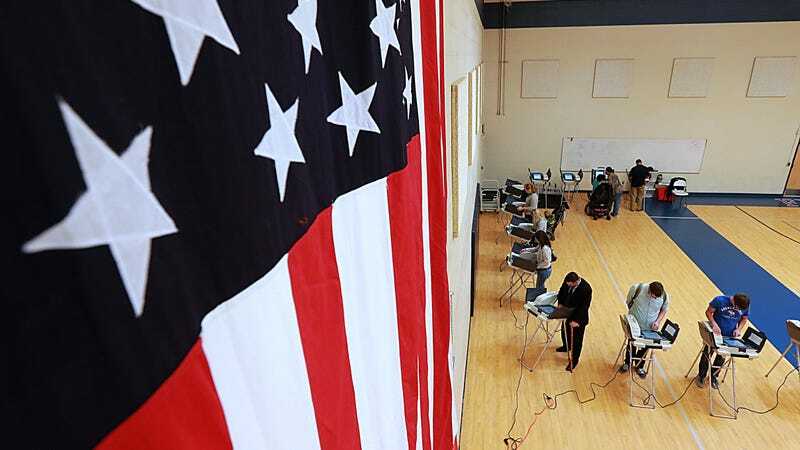 Not only was the hacking of electoral systems during last year’s election “more extensive than previously disclosed,” the paper reports, multiple sources say that nobody’s really examining the the attacks on a state or local level. The reasons why are as complex as they are alarming. One thing is clear: A lot of registered voters in North Carolina, Virginia, Georgia, and Arizona didn’t get to vote on election day last year, because their names weren’t in the electronic poll books. We’ve known for a while that Russian hackers had infiltrated the servers of VR Systems, a company that provides the software for polling equipment. However, anonymous sources from the intelligence community told the Times that at least two other election software companies had been hacked as well. Meanwhile, the intelligence community said back in January that Russian hackers didn’t alter the vote count. But that assurance skirts around the idea that attackers could have tinkered with the back-end of the election software in such a way that voters in key counties of swing states couldn’t vote at all. The notion that any foreign power could have taken this clever and dreadfully powerful tack is sickening to say the least. We already know that the Russian hacking was bad. However, the takeaway from this latest investigation—and you should read the Times report in full to understand the broader context—is that, nearly a year after the fact, we still don’t know profoundly Russian hacking affected voting on election day. We might never know, since the investigation is fractured on federal, state, and local levels. On top of all that, it remains unclear if the issues that kept people from going to the polls were caused by Russian hacking, interference from another foreign power, or simply software glitches. That not knowing is the really scary thing about the 2016 election. Without finding clarity on what went wrong last year, the American people are bound to feel skeptical about how the midterm elections will go next time around. Inevitably, the lack of confidence in the election process could simply stop people from going to the polls, which is never a good thing in a democracy. There’s still time. The midterm elections are 14 months away, and a lot of things could change before then. No matter what, though, go ahead and plan on voting, regardless of what you might fear will happen. Voting is the most important thing you can do as a citizen of this beleaguered nation. You can’t get turned away at the polls if you don’t show up.